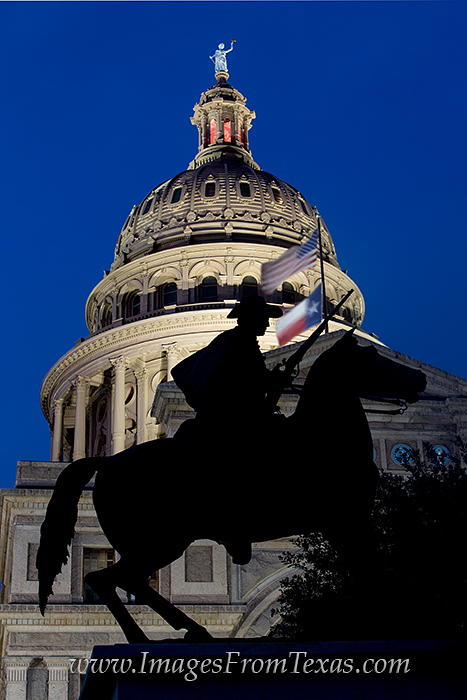 Surrounding the capitol in Austin, Texas, are 22 acres of lush grass and sidewalks. Adorning these pathways are monuments honoring Texas traditions. This statue is the Texas Ranger Monument, offering respect to those who served Texas in the early years. Photo © copyright by Rob Greebon.